Join us for our webcast where Felix Freund and Josef Helmes will provide an update on the European Corporate Bond Fund and provide their outlook for the months to come. We are delighted to invite you to join our forthcoming webcast at which our Head of Global Strategy, Andrew Milligan, will discuss our latest macro-economic and market views whilst considering the Outlook for the next quarter. There will be an opportunity to pose your questions directly to Andrew. • How the Fund is positioned to take advantage of the current investment landscape. 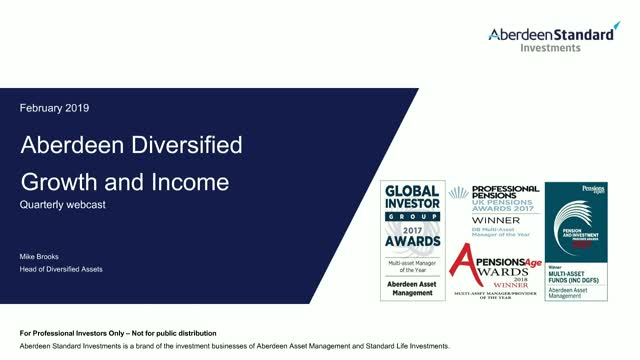 Mark Munro, manager of the Total Return Credit Fund, provides an overview of the Fund's objective, mandate, philosophy and team. The products, information and other material contained on this website are only directed at institutional investors in Ireland.